It’s Halloween! What are the Scariest Pests in Pennsylvania? Pennsylvania is home to a lot of pests. Some of them bite. 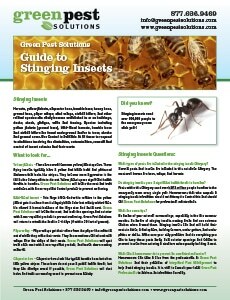 Some of them sting. Some of them eat your food. And still others do absolutely nothing. 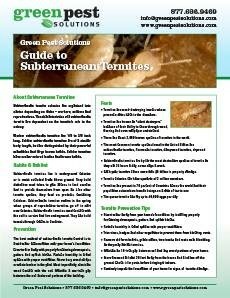 There are a lot of scary pests out there, most notably bed bugs, black widow spiders, hornets, termites, cockroaches, and any pest that causes harm or discomfort. But what about the scariest looking pests? The following is a by-no-means scientific look at some of the scarier looking Pennsylvania pests. Pelecinid Wasp – This wasp has a long frightening tail that looks like a giant stinger. Luckily it cannot sting, and it’s actually a very beneficial pest for the environment as it kills off beetles but generally poses no threat to humans. Still, it is an impressive looking pest, and certainly one that can cause a bit of fear if you come across it. Assassin Bug – The assassin bug has a creepy name, it is surprisingly large, and its bite can be very painful. But what makes the assassin bug even more frightening is that it will sometimes wear the bodies of its kills as armor. Yeah. Giant Mayfly – As its name implies, the giant mayfly looks like a mayfly, but giant. The tails of the mayfly can sometimes look like a giant stinger, and while they’re essentially harmless and in some cases not that frightening in most settings, they tend to look a lot more terrifying if you see one from the corner of your eye as they swarm in June. House Centipede – Literally the most terrifying bug in the world, and it’s everywhere. It’s like an elongated spider and just as fast. They are almost completely harmless, but looking at one can create nightmares. Periodical Cicada – Everyone in this area of the country knows of the Periodical Cicada. The noise they make and the swarms they create is the stuff of legend. If you’re new to Pennsylvania and haven’t seen one before, you’ll find that they are also quite large flying insects and can be frightening if you see one in front of you. House Centipede – Worth listing twice. Terrifying looking bug. While assassin bugs can have a painful bite, and house centipedes do invade homes, the vast majority of bugs are harmless. 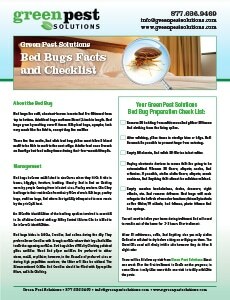 In fact, even the assassin bug – the only bug on this list that can cause pain – is a natural pest control expert. That’s why at Green Pest Solutions, we do our best to leave the beneficial pests alone and only eliminate the harmful pests. Still, there is no denying that some pests are more frightening than others. If you have any concerns, contact us today at 877-636-9469.